In the second of our planning articles, we are looking at views. 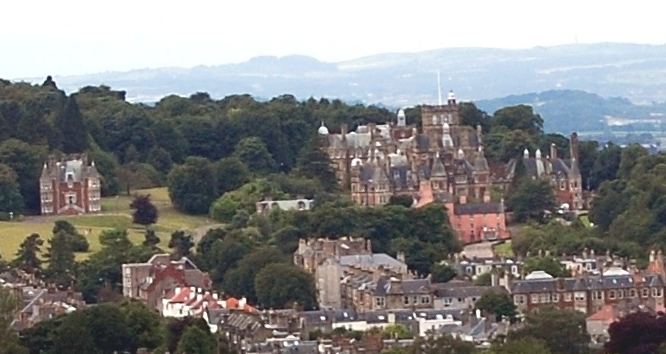 Craighouse is extremely important in terms of skyline and views. So much so, we have split this article into two for ease and due to length: Views into the Site and Views Out of the Site. We will be posting Views Out of the Site very soon. Situated on one of Edinburgh’s famous seven hills, which form a major part of the City’s character and a backdrop to views across the city, Craighouse is a stunning, remarkably unspoilt hilltop sight prominent in views and aspects both locally and citywide. It features significantly in the views from many of Edinburgh’s other hills, such as Arthur’s Seat, The Castle, Blackford Hill, the Braid Hills, as well as numerous high points and buildings around the city. It is also a stunning feature in many local views. The lush green lawns and fantastic buildings have been described as being like a “fairy dell” from these vantage points. Views to and from the site feature heavily in the Craiglockhart Hills Conservation Area Character Appraisal – an important document which we introduced in our last article. This picture (right) shows a part of the orchard development in the foreground with New Craig surrounded by more substantial amounts of new-build behind. The 4 or 5 storey apartment blocks will be clearly visible from outside the site and take out part of the woodland – which forms the backdrop to New Craig in views. The orchard is a key topographical feature and therefore to build at all here is completely contrary to policy. *note: commentary is based on the last set of proposals presented to the general public at exhibition. We cannot know what the plans will look like when submitted – however, the “alternative” masterplan at the exhibitions did not reduce the levels of new-build – which are clearly excessive – but placed the orchard development down the East side of the green space instead – again ruining the key protected area of the landscape that is the open green space, identified as one of the most important areas in terms of landscape character in the Simpson and Brown Conservation report and the spoiling views in and out of the site. Env 11 (Landscape Quality) presumes against development which would damage or detract from the character or appearance of the AGLV [Area of Great Landscape Value], prominent ridges or other important topographical features. 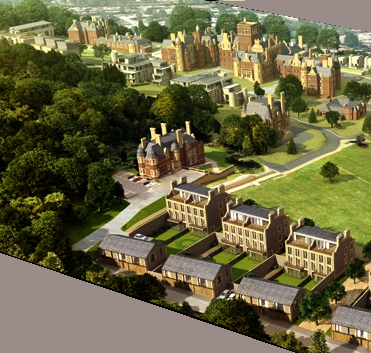 The Edinburgh Survey of Gardens and Designed Landscapes 2007 notes that the site is significant for its listed buildings and associated social history but particularly for its presence within views of Edinburgh and its accessibility for locals.